Kasper, a honorary member of the International Olympic Committee, had claimed that it was easier to organise the Olympic and Paralympic Games in countries governed by a dictatorship. He also reportedly said that the Winter Olympics needed to come down in size and played down the impact of global warming. Athletes have spoken out against the 75-year-old FIS President, who was re-elected unopposed until 2022, meaning by the time he steps down he would have been in the role for 24 years. 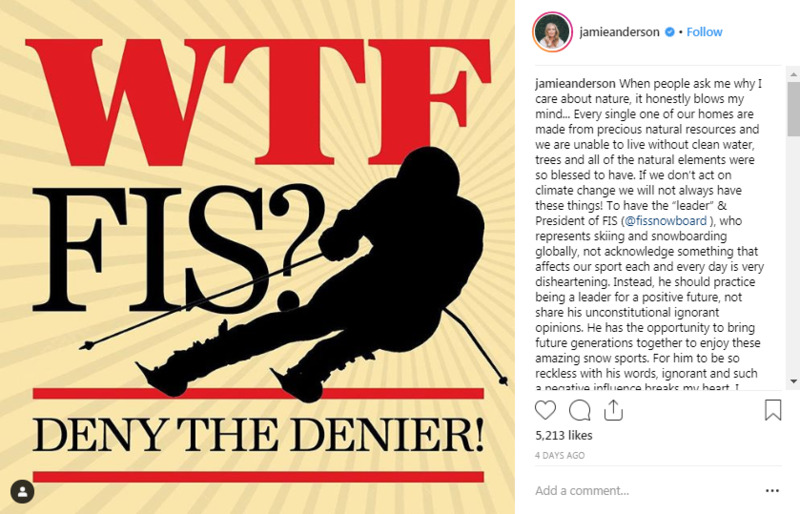 Anderson was among those to speak out at the FIS Freestyle Skiing and Snowboard World Championships, which finished in Utah on Sunday (Feburary 10). The American told ESPN that she had discussed potentially skipping the Championships in protest at Kasper’s comments, but ultimately competed before criticising the official. "Most of us were pretty upset and wanted to figure out a way to come together to take a stand," she said. The snowboarder, who won bronze in Utah, later posted on Instagram that she had donated her prize money to Protect Our Winters, who seek to influence decision-makers in politics, society and business on the issue of climate change. She also posted a link to a campaign by Protect Our Winters, which calls on Kasper to resign. American cross-country skier Jessie Diggins, also criticised the FIS President. "I haven't felt that clean and fair competition has been a priority for years now, and I don't feel very well supported by the current FIS leadership, given Kasper's sarcastic comments throwing aside the issue of climate change that currently threatens our sport," Diggins, who together with team-mate Kikkan Randall won the United States' first ever Olympic cross-country skiing gold medal at Pyeongchang 2018, told ESPN. "I think the President of FIS should be someone who puts the needs of the athletes competing, the integrity and ethics of clean and fair competition, and the preservation of snow sports first. 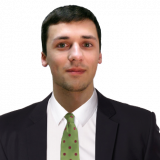 "There should not be a conflict of interest between sponsor money and protecting the environment and the athletes under FIS." Kasper apologised to athletes about the controversy caused by the interview, which occurred prior to the Alpine and Freestyle Skiing and Snowboard World Championships. "First and foremost, I would like to apologise as these comments were not meant to be taken literally but this was not clear in the final story," he said. "I take full responsibility for this misunderstanding and am sorry it has taken attention away from our athletes competing in the FIS World Championships." But Kasper claimed his comments "were not meant to be taken literally, but this was not clear in the final story". Tages-Anzeiger have stood by their article and published recordings which they claim proved their position.